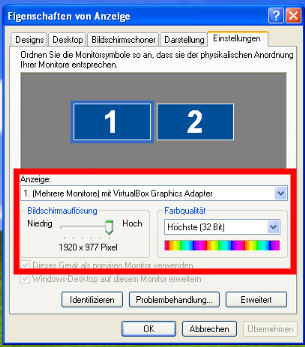 Our host system for VirtualBox is GNU/Linux. We want our guest system, windows, to use two monitors. 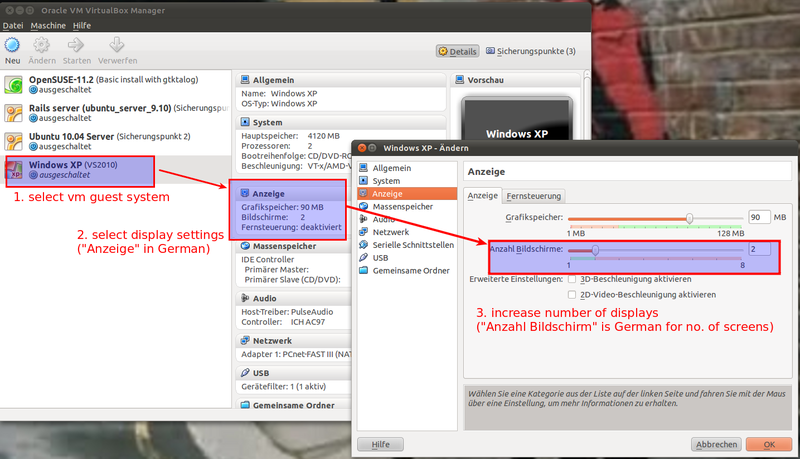 This solution should work for all Linux distributions supported by VirtualBox4. Upgrading from VirtualBox owned by Sun to VirtualBox owned by Oracle was very smooth. Even for Linux host systems. Oracle, thanks for that!